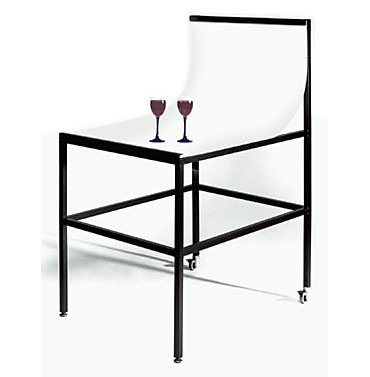 This lightweight shooting table accepts any 122 x 244 cm sized plate of Plexiglass, Masonite, Formica or veneer surface. 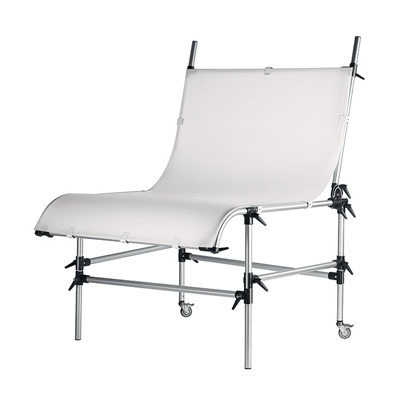 It features an adjustable back frame and an extended front angle for extremely low angles, as well as a crossbar with hooks to hold and dispence 135 cm seamless background paper. 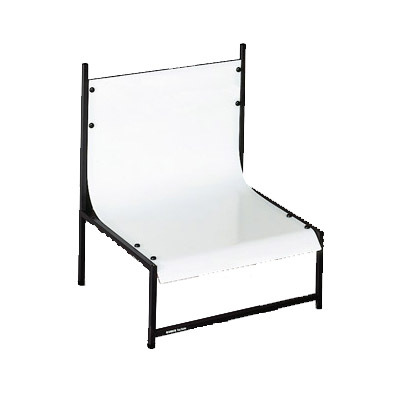 It takes up minimal space (124x 155 cm at the base), is easy to roll anywhere on its casters at the rear and breaks down quickly for convenient storage when space is needed. 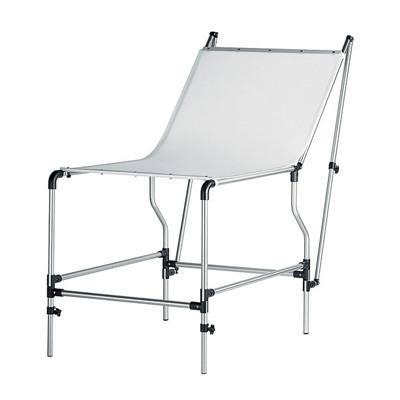 The working height is 81 cm including casters. Note that the Perspex Plate as supplied by Cambo comes in a big wooden crate which might distributors outside of Europe make source their own alternative perspex solution. 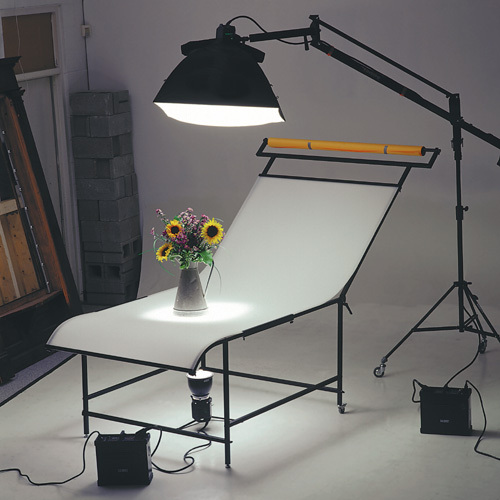 The Mini Shooting Table can be wheeled through doorways from room to room on its two rear-frame castors. Yet when location calls, just remove eight knobs and it quickly disassembles.